I love Cool Treats Stamp Set and Clare reminded me how cool it was this weekend, so I decided to share my love of Frozen Treats with you all for my birthday using this set. 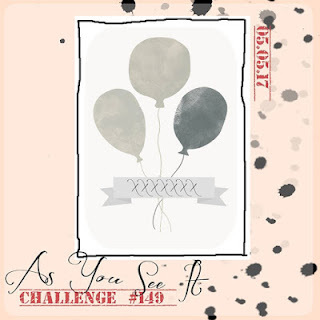 I also used a sketch from the As You See It Challenge. Whew! That's a lot for one card! And now, for the Birthday Special. 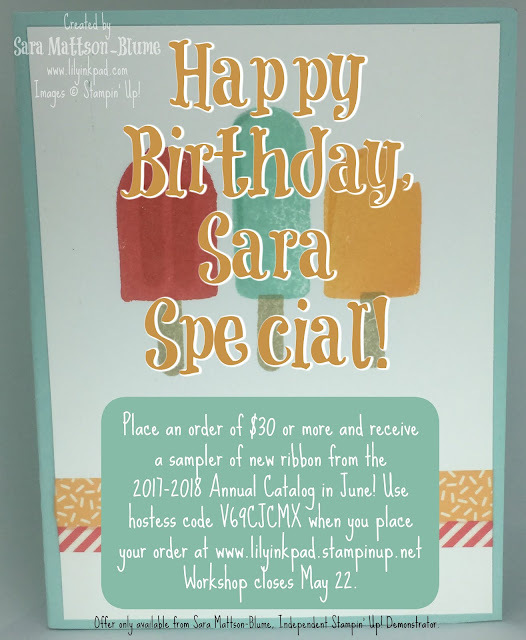 If you place an order of $30 or more by May 22, you will get a sampler of ribbon from the 2017-2018 Annual Catalog which starts June 1. How cool! What will be in the sampler? Well, I can't order ribbon yet, so I will order a selection of ribbons in a variety of colors for you to have at least a yard of ten types of ribbon. How cool! Hostess Code for Online Orders. This is only available from me, because it's my birthday! A very cool and frosty project, Sara! Happy Birthday, by the way! 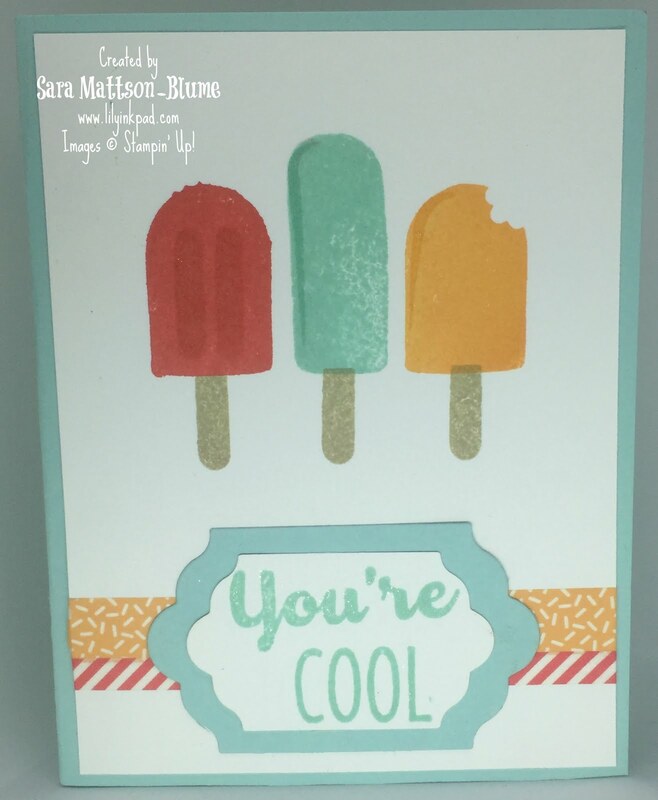 I love the colours you've used for your card,and the way you've made your ice cream treats look icy! Thank you for joining us at As You See It Challenges! Happy belated birthday! This is a very clean, crisp card. I like the colours you've chosen and you layered sentiment. The contrasting bands in behind the sentiment help it pop off the page. Thanks for joining us at As You See It.